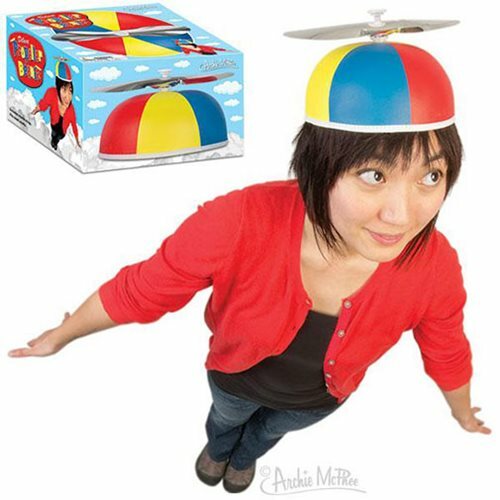 This is not just another stupid beanie, this is the Deluxe Propeller Beanie! It's not made from cheap disposable felt like our competitor's beanies, it's a high quality, multi-colored beanie with a propeller that actually turns. Includes an elastic strap and is designed to fit most adult heads. It's guaranteed to make you look nuttier than any other beanie on the market. Illustrated box. Ages 13 and up.